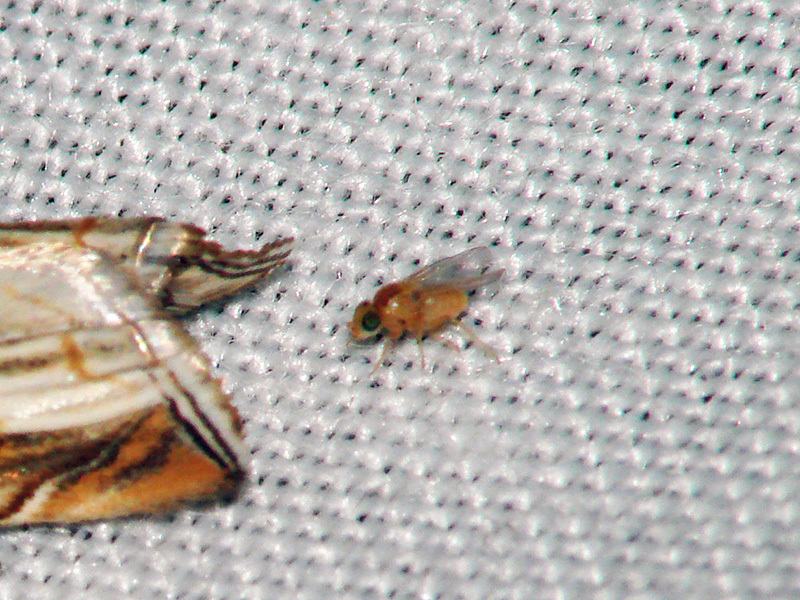 I'm requesting help to identify this small fly (~2mm). I apologize for the quality of the picture. The picture was taken on August 3rd, at Olhão, Faro District, on the South of Portugal. The habitat is consolidated secondary dunes, close to both a fresh water lagoon, and a large extension of brackish water. I would appreciate any help, that could help me reach to, at least, the family level.